Fortinet® (NASDAQ: FTNT), the global leader in high-performance cybersecurity solutions, today delivers on theOpen attribute of the Fortinet Security Fabric through its new Fabric-Ready Partner Program and integration of FortiSIEM, providing threat intelligence visibility across multi-vendor cybersecurity solutions. · The Fabric-Ready Partner Program builds on Fortinet’s robust ecosystem of technology alliances by opening the functionality of the Fortinet Security Fabric to complementary solutions. Partners in this program have validated technology integration with the Security Fabric, have committed to sharing roadmaps for consistent interoperability, and will benefit from joint go-to-market initiatives. 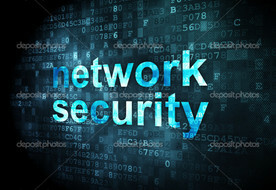 · Initial Fabric-Ready partners include Brocade, Carbon Black, Centrify, Nozomi Networks, Palerra, Pulse Secure, Qualys, Inc (NASDAQ:QLYS), Tufin, UBIqube, VeriSign, Inc., WhiteHat Security and Ziften. · Further extending the Security Fabric to multi-vendor environments, FortiSIEM, Fortinet’s Security Information and Event Management (SIEM) solution delivers a single pane of glass Security and Network Operations Center to provide complete visibility and actionable intelligence across the entire infrastructure. · Extending the functionality and intelligence of the Fortinet Security Fabric with an open and cooperative ecosystem of partner and vendor solutions, helps customers avoid the rip and replace of existing infrastructure and consolidate, simplify and integrate their security posture. · The open Security Fabric behaves as a single entity, offering the performance, visibility and automation required for intelligent end-to-end segmentation, from IoT to the cloud, and across physical and virtual environments. · Follow Fortinet on Twitter, LinkedIn and Facebook.